The Warren Miller trade promotion is operated by Adventure Entertainment PTY LTD as the official representative of Warren Miller Entertainment. 2. Competition is open to Australian and New Zealand residents only; to be eligible to win, entrants must be over 18 years of age or have express written permission of their parent or guardian. Adventure Entertainment, participating partners, their employees and immediate family of employees are not eligible to enter the competition. By entering this competition, the entrant warrants that he or she meets the entry requirements and accepts the terms and conditions of this competition 3. Entries open in Australia 16/05/18 and close 18/06/18 inclusive. 4. Entrants to this competition must complete their entry via www.warrenmiller.com.au/win and complete the entry form. One winner per prize will be awarded (unless otherwise stated). Winners will be chosen at random via a random number generator application from the total entries across Australia and New Zealand (unless otherwise stated). Adventure Entertainment will contact the winner within 5 days of the conclusion of the tour. Adventure Entertainment will make several fair and reasonable attempts to contact each winner. If a winner does not come forth by 22 June 2018 a redraw will occur for that prize. If the prize remains unclaimed for the duration of this period and Adventure Entertainment has taken all steps to contact the winner, a redraw shall take place and the process repeated until a winner is found. 5. Entrants are responsible for all costs involved in entering the competition and will not be reimbursed regardless of if they win the competition. Any additional expenses incurred in participating in the prize such as food, beverage, transport and any other fees are not considered part of the prize and costs will not be reimbursed by Adventure Entertainment. 6. The entrant warrants they have rights to provide intellectual property to Adventure Entertainment and consent to any act or omission that they may consider infringement of their intellectual property. 7. Adventure Entertainment reserves the right to disqualify any entrant reasonably suspected of improper or unlawful conduct or found to be in breach of any other competition terms and conditions. 8. Adventure Entertainment reserves the right to collect, store and use your personal information in accordance with Australian Privacy Principles of the Privacy Act. 9. Upon the final decision of the prize winner and their acceptance of the prize, Adventure Entertainment will notify the winner by email, phone or any other appropriate means of communication. The winner will be publicly announced via social media, including but not limited to Facebook, Twitter and Instagram and on the websites www.warrenmiller.com.au within 24 hours and remain published on these sites for no less than 30 days. 10. Major Prizes are provided by Mike Wiegeles Helicopter skiing and Silver Star Mountain Resort, Switzerland Tourism, Hakuba Valley, Hokkaido Tourism, Ikon Pass, HEAD (Australia only), Southern Lakes Heliski, Volkl (Australia only), Picture Outerwear (Australia Only), Ski Portillo, Jackson Hole Mountain Resort and SnowCentre (NZ Only); these prizes are subject to blackout dates and availability at time of booking. All prizes are non-transferable and redeemable for cash. Major prize #1. Ultimate British Columbia Snow Vacation Prize - The winner receives Mike Wiegeles Blue River Deluxe Three (3) Day Heli Package for two (2) people as described http://www.wiegele.com/heliskiing-and-boarding-packages.htm, is redeemable for the 2018/2019 season. Dates are based on availability. 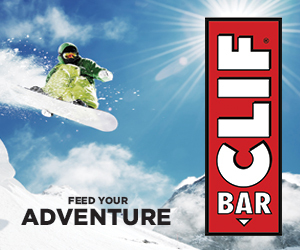 To claim this prize, you must be of intermediate or advanced skiing and snowboarding ability. Silver Star Mountain Resort is offering 5 night accommodation in a one bedroom unit at the Snowbird Lodge for two (2) adults, 4 Day lift ticket for two (2) adults and 4 day rental of Skis, Boots and Poles or Snowboard and Boots for two (2) adults. The black out dates include December 21, 2018 to January 6, 2019, and February 18, 2019 to February 24, 2019. Bookings are subject to availability. This voucher is non – transferable and not redeemable for cash. Offer expires April 7th 2019. Transfers to and from Mike Wiegele Heli Skiing are not included and are at the cost of the prize recipients. Additional days and lessons are not included in the prize and all passes are subject to Silver Star lift pass terms and availability. Major prize #2. In Love with Switzerland Prize - Switzerland Tourism prize includes 3 overnights in the Jungfrau region for two persons in a one bedroom. 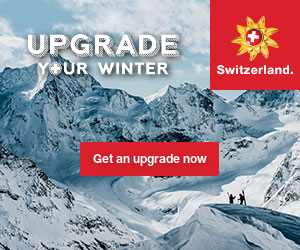 Valid for stay between the winter 2018/2019 winter season, apart from black out dates of 22/12/18 – 6/1/19 and 19/4/19-22/4/19. Plus the winner receives 4 day ski pass for two (2) persons at Jungfrau Region, Switzerland. Cash payment or transfer of prize not accepted. Major prize #3. Discover Hakuba Valley Prize - Hakuba Valley prize is for 7 nights accommodation at Tokyu Hotel with daily breakfast, return airport transfers, equipment rental and seven (7) day lift pass for two (2) adults. This deal is valid for the periods of December 18 2018 and March 17 2019 with blackout dates of December 28th 2018 to January 3rd 2019. This deal is valid for two (2) adults. Major prize #4. Luxury in the Andes - Staying the luxury Portillo holel. Four (7) nights stay for two (2). This deal is valid for the 2018 ski season with blackout dates of July 7th 2018 to July 27th 2017 and September 8th to 21st, 2018. Voucher is non – transferable or refundable. Major prize #5. 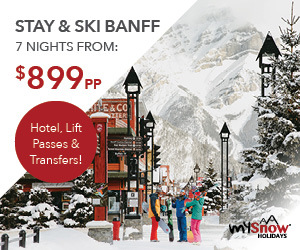 Ride amongst the Tetons – Jackson Hole Mountain Resort and Jackson Hole Resort Lodging are two (2) adults five (5)-day lift tickets and five (5)-nights lodging in a one-bedroom condominium . Blackout dates apply December 21, 2018 to January 3rd, 2019 and February 13, 2019 to February 23, 2019. The package is based on availability of loding at time of booking, and cannot be transferred, changed or exchanged for any monetary value. Major prize #6. Southern Lakes HeliSki prize packages is for one (1) person and includes a six (6) run heli skiing adventure. This can be taken out of Queenstown or Wanaka. This deal is ideal for intermediate levels and above. 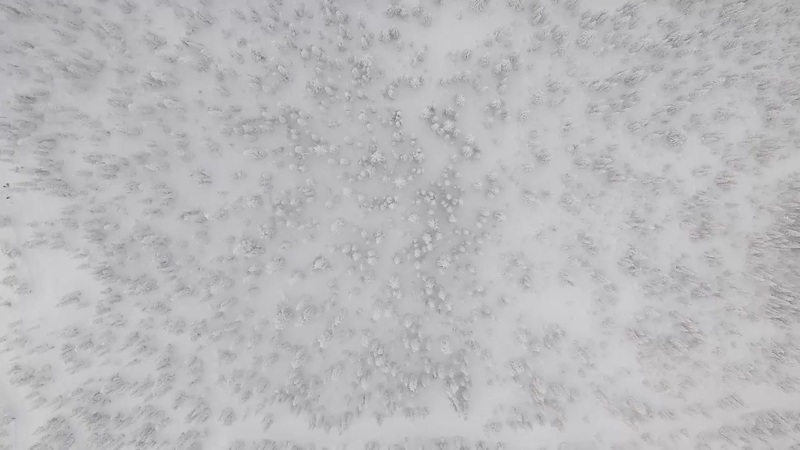 Additional heli runs can be purchased at the time of the booking. Bookings essential and subject to availability. Major prize #7. Ikon Pass. No cash value - non-trasnferable. See www.ikonpass.com for Ikon Base Pass details and blackout dates. Valid only for the 2018/19 season. Major prize #8. Volkl Skis & Picture Organic Clothing. Men’s Prize: One (1) set of Volkl Kendo Skis + one (1) pair of Marker Griffon bindings. One (1) Mens Picture Organic Pannel Jacket in Black Print & one (1) Picture Organic Pannel Pant in Black. Ski & outerwear sizes will be subject to availability of stock. Best endeavours will be made to accommodation winners size requests. Available to Australian tour patrons only. Women’s Prize: One (1) set of Volkl Yumi Skis + one (1) pair of Marker Squire bindings. One (1) women's Picture Organic Mineral Jacket in Coral & one (1) Picture Organic Slanney Pant in Coral. Ski & outerwear sizes will be subject to availability of stock. Best endeavours will be made to accommodation winners size requests. Available to Australian tour patrons only. Major prize #9. HEAD Ski’s prize is one (1) mens KORE 93 ski and one (1) ladies ABOSOLUT JOY ski. Ski sizes will be subject to availability of stock. Best endeavours will be made to accommodate winners size requests. Available to Australian tour patrons only. Major prize #10. Hokkaido the deep powder playground package is valid for two (2) people. A three (3) night stay & 3day lift pass at Niseko, A two (2) night stay and two (2) day lift pass at Rusutsu and a three (3) night stay & 3-day lift pass at Tomamu. All accommodatoin includes breakfast for two (2). Prize is non transferable, nor refundable and cannot be redeemed for cash. 11. Skiing and snowboarding is an extreme sport; Adventure Entertainment accepts no responsibility or liability for injury, disability or death as a result of participation in this promotion and snow sports activity. 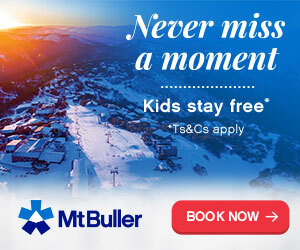 Adventure Entertainment strongly recommends those undertaking these activities as part of this promotion have appropriate hospital and ambulance cover and/or travel insurance as well as familiarisation with the alpine responsibility code and safe practices found on http://snowsafe.org.au/. Adventure Entertainment accepts no responsibility for any loss of income as a result of participating in this promotion. Participation is voluntary and Adventure Entertainment is not liable for any loss of income due to injury while participating in this promotion. The Warren Miller Astra Falls creek promotion is operated by Adventure Entertainment PTY LTD as the official representative of Warren Miller Entertainment. 2. Competition is open to Australian residents only; to be eligible to win, entrants must be over 18 years of age. Adventure Entertainment, participating partners, their employees and immediate family of employees are not eligible to enter the competition. By entering this competition, the entrant warrants that he or she meets the entry requirements and accepts the terms and conditions of this competition 3. Entries open 12:00 (12.00pm) 27/04/18 and close 00:00 (12:00am) Australian EST 15/05/18. 4. To be eligible for this competition, participants must both fill in the form and answer the question and which screening of Line Of Descent they are attending. 5. Entrants are responsible for all costs involved in entering the competition and will not be reimbursed regardless of if they win the competition. 6. The entrant warrants they have rights to provide intellectual property to Adventure Entertainment and consent to any act or omission that they may consider infringement of their intellectual property. 7. Adventure Entertainment reserves the right to disqualify any entrant reasonably suspected of improper or unlawful conduct or found to be in breach of any other competition terms and conditions. 8. Adventure Entertainment reserves the right to collect, store and use your personal information in accordance with Australian Privacy Principles of the Privacy Act. 9. Upon the final decision of the prize winner and their acceptance of the prize, Adventure Entertainment will notify the winner by email or any other appropriate means of communication. The winner will be publicly announced via social media, including but not limited to Facebook and Instagram and on the website www.warrenmiller.com.au within 24 hours and remain published on these sites for no less than 30 days. 10. 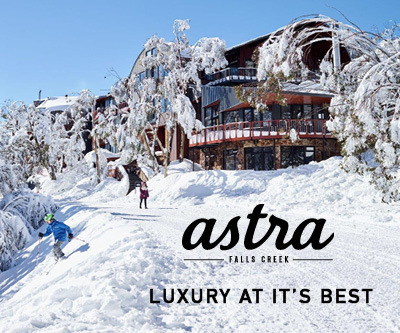 The prize is provided by Astra Falls Creek & Falls Creek Ski Lifts and is eligible for people that reside in all states & territories within Australia except the A.CT. .11. This promotion is in no way sponsored, endorsed or administered by, or associated with, Facebook or Mailchimp. 12. The prize cannot be redeemed for cash; if unused, it will expire on the 4th of October 2018. It can not be transferred to any future year. 13. This competition is not open to residents of the A.C.T. 14. The applicant acknowledges that their contact details will be passed on to Astra Lodge Falls Creek & Adventure Entertainment for future relevant & similar promotional activities.